When I read this I chortled for a good moment. However, as I started to think about this sign, I was deeply saddened. Saddened for the strangers who read this sign and think that Jesus is defined by these odd terms. But also, saddened for the people who created the sign (or agree with it) and seemingly have no understanding of who Jesus hung out with, what he did, or even what the scriptures teach about alcohol. Well, I’ll tell you what Jesus did! Jesus turned water into wine. I bet you knew that though. Did you also know that Jesus turned water into wine and then fed it to a bunch of people who were already imbibed! Go ahead read John 2:1-11 and reread 2:10-11 until you understand what’s being said there. While you’re at it, read my Wine & Strong Drink series. It’s an 11 part series, each part is fairly short. You may be surprised to find that there are several cases in Scripture where alcoholic beverages are prescribed and even commanded. I personally think he’d be more upset at people using his name in vain to promote their own personal and political agenda than upset that someone was buying a beer on Sunday. If you’ve ever worked at a grocery store, then you know that the town drunks have no problem buying bottles of Vanilla Extract on Sundays to take the edge off. 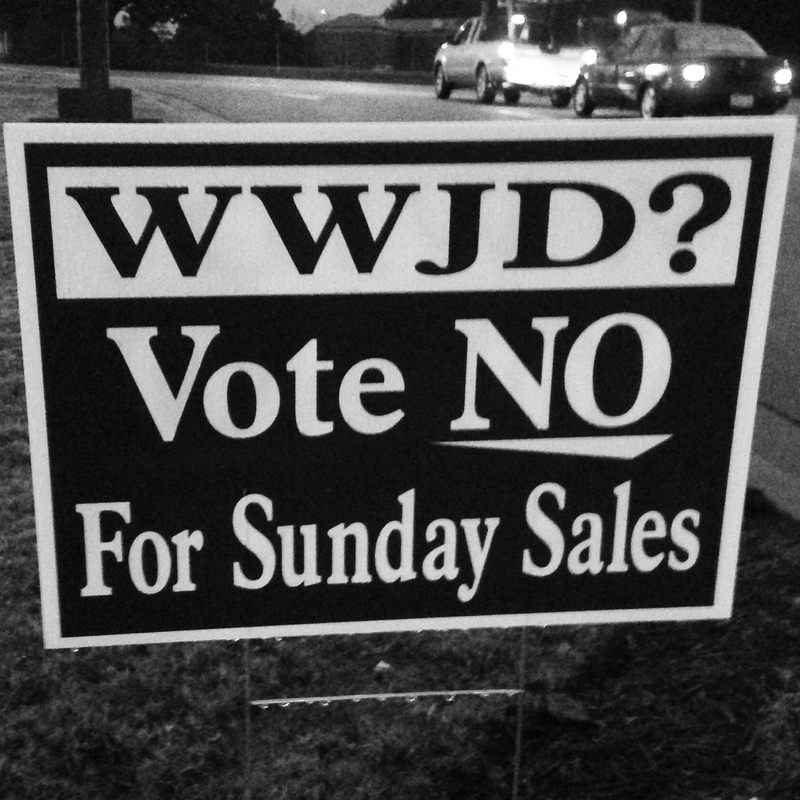 Preventing sales on Sunday does not stop a man’s heart from its desire… and really, isn’t the heart the root of the problem?